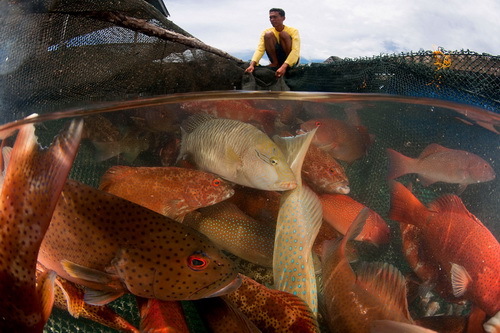 More than 35 fish farmers, fish feed producers, and government representatives from Indonesia, Malaysia, the Philippines, and Vietnam met in early October to begin the process of developing fish farming Standards for grouper, snapper, and Asian sea bass, also known as barramundi. This inaugural meeting is the first step in what is intended to be the development of comprehensive, performance-based, and measureable Standards, the first such Standards for these popular farmed seafood species. 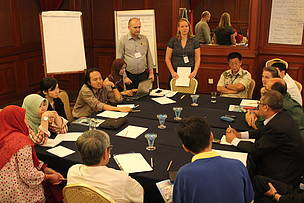 Penang, Malaysia – More than 35 fish farmers, fish feed producers, and government representatives from Indonesia, Malaysia, the Philippines, and Vietnam met in early October to begin the process of developing fish farming Standards for grouper, snapper, and Asian sea bass, also known as barramundi. 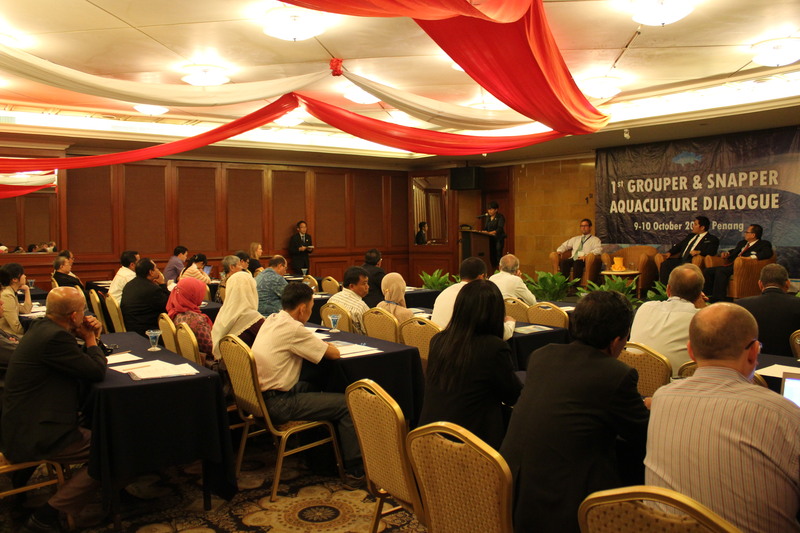 This dialogue, the first in what will be a series of regional dialogues, was hosted by WWF-Malaysia with funding and technical support provided by the WWF Coral Triangle Program through the recently formed Asia Pacific Sustainable Seafood and Trade Network (APSSTN). The need for more responsible farming and production of grouper and snapper has long been identified; however the emphasis of previous programs has been on using best-practice management approaches to work with farmers, primarily small-scale, to notionally improve farm operations. The growth in commercial-scale farming of these fish species and their attendant impacts on the marine environment has necessitated a more quantitative approach to addressing this industry’s poor sustainability record. This inaugural meeting is the first step in what is intended to be the development of comprehensive, performance-based, and measureable Standards, the first such Standards for these popular farmed seafood species. While initially focused on Grouper and Snapper species, preliminary discussions with industry revealed that there was some interest in incorporating barramundi into the Standard. In terms of the opportunity for linking with markets, an important element in the successful uptake of Standards, the inclusion of barramundi made sense as it is more widely farmed and is sold in greater quantities into discerning international markets in Europe, North America, and the Oceania regions. “Market access” is an important incentive in the support for Standards and uptake of independent eco-labelling programs, such as the Aquaculture Stewardship Council (ASC). The issue of whether to expand these standards to include barramundi was addressed early in the meeting, with the meeting participants overwhelmingly in favour. Grouper is one of highest-valued species in the Asia Pacific region and in the decade to 2010, global production of farmed grouper aquaculture increased by more than 700 percent, while production of farmed barramundi increased by almost 300 percent over that same period. Grouper, snapper, and barramundi farming have significant environmental impacts, including adverse modifications to natural habitats, pollution, and waste discharge and drug and chemical use leading to poor water quality and fish health and as carnivorous species, there is heavy dependence on fish for feed. Yet the collective effort to reduce these impacts, especially for grouper and snapper, has been minimal. Despite these impacts, producer countries of this region see these species continuing to contribute significantly to their respective export revenues and farming of these species will only increase. WWF sees these Standards helping the sector to expand in a responsible way that minimizes environmental and social impacts and meets the better performance being demanded of the markets into which these products are being sold. The main goal of this first meeting was to identify those “First Principles” that will make up the Standard and are designed to redress environmental and social impacts, and to begin the process of identifying the necessary criteria and indicators that will help quantify and measure farm performance against these principles. On that front, the meeting must be considered a success and the draft Standard that has emerged will be continue to be fine-tuned over coming months. These draft Standards will be the template for going forward into a series of regional dialogues designed to enable as a wide a range of stakeholders as possible (industry, NGOs, scientific community, and other relevant players) to actively participate in their furthering refinement. The long-term goal is to evolve these Standards to the extent that they will be recognized by global certification bodies such as the Aquaculture Stewardship Council (ASC)—the most credible certification and eco-labelling organization for farmed seafood, and meet the requirements of international Standards setting bodies such as ISEAL. In the next month, an updated “Draft” of the Standard will be circulated and input sought from not only these meetings participants but other industry stakeholders who have been and continue to be identified. Over the coming months a stakeholder advisory group will be formed and the second the regional Dialogues is being planned to be held in Indonesia in early 2014. The hope is to have the Standards in place and being utilized by 2015. From a technical perspective, the creation of multi-species Standards is not new. The need for more responsible farming of grouper, snapper, and barramundi via Standards is supported by various regional government and non-government agencies as well as industry, in response to both environmental and market access issues. Unsustainable farming practices associated with these species are threatening the biodiversity of the Coral Triangle and in some cases, the livelihoods of those dependent on these resources. 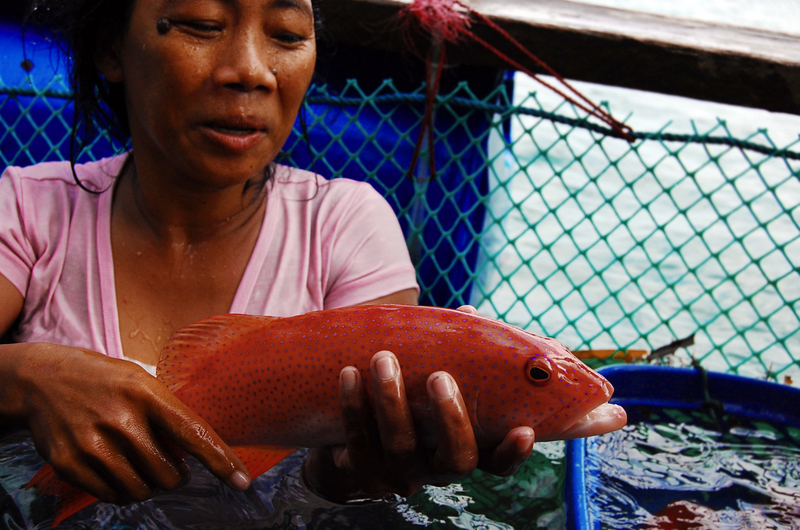 “First Principles” are top line expectations common across most aquaculture standards such as compliance with national laws and local regulation, conservation of natural habitat, local biodiversity and ecosystem structure and function, minimizing impacts on water and land resource, protecting the health and genetic integrity of wild populations, use of feed and feeding practices and social accountability among others. 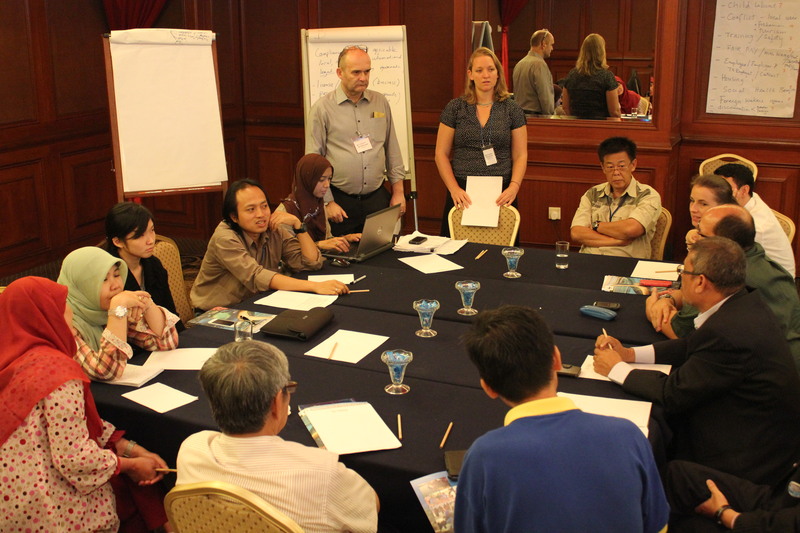 Dialogue participants agreed for the Standards to address the following issues: natural habitat and local biodiversity conservation; socially-responsible farm operations; sustainability and traceability of feed ingredients; and fish health maintenance, among others.